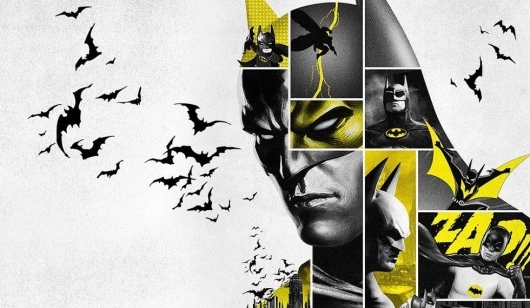 Few characters have inspired as many entertaining and visually-inspired fan films as Batman. Over the years the Caped Crusader has starred in several labor of love short films financed and created by longtime admirers of the classic DC Comics superhero including Sandy Collora’s Dead End (which pitted Batman against the Joker – played by the late Andrew Koenig – as well as Aliens and Predators) and World’s Finest (Batman teams with Superman to battle Lex Luthor); Jeffery Scheetz’s CGI-animated New Times (featuring the voices of Adam West and Mark Hamill); and John Fiorella’s Robin-centric Grayson. The latest, and one of the best, Batman fan film to hit the web is Batman: Death Wish, and like the best short features of the pack this one has an interesting hook. You can watch the 12-minute film here below. As most of you may know by now, DC Comics is relaunching their entire line of comics this Fall alongside a day and date digital comics initiative. What you might not know, however, is that it all started two weeks ago with the releases of the last issue of DC’s summer event Flashpoint, and the beginning of the new universe with Justice League #1. This Wednesday is the second big week of releases. I’m picking up a lot of these books, and there are still a lot of books to look forward to in these upcoming weeks, as well as plenty that you and I will probably want to stay away from for varying reasons. So, in the order of kindness and assignments from my editor, I will be breaking down each title with their creators, what they’re about, and what you can expect from each of the new books. And, guess what? I’m not in love with a lot of the decisions that they’ve made, so this should be fun! Every Tuesday through the end of September, I will be writing another installment so you know when you can get yourself to the store, or to your mobile app, and purchase your new #1s from DC Comics! Also, it’s worth noting, dear reader, that since you’re coming to the game a little late, you can’t be guaranteed an issue at the comic book store, so call ahead to see if they have it. Or if you go the store and they don’t have any copies left of these DC books, you could always buy an indie comic like 27 The Second Set, Baltimore: The Curse Bells, Pigs, and Moon Girl, which all come out this week, coincidentally. There’s more to comics than just superheroes from DC and Marvel, you know? But that’s probably why you’re here, and now that I’ve gotten the indie comics alternative plug out of the way, let’s talk about the universe that I’d rather live in, the DC Universe! Hey everyone, today’s comic book pull-list is going to be a sad one, as we say farewell to four Batman-related series coming to an end this week. Last week, we saw the final issues of many great comics, and in the future, we’ll see even more titles fall to the DC Relaunch. Honestly, it’s like DC Entertainment has become The Anti-Monitor and all our favorite books are infinite earths phasing together to destroy the comics of the DC Universe. Books like Superman and Secret Six have already fallen into the void of the relaunch, but this week will be especially difficult for me as a Batman fan, as we see the deaths of some comics that are near and dear to my heart: Batgirl, Batman and Robin, Detective Comics, and Red Robin. Sure, for the most part we’ll be getting an alternate earth version of these titles, but will they be the same as we’ve known them? No, of course they won’t. So, with your patience, a glass of soda, and a handful of pills to numb the pain of the loss, I would like to give a proper send-off to one of my favorite eras in the history of Gotham City. After Batman R.I.P. and Final Crisis, there was a storm in Gotham City with the displacement of Bruce Wayne, the original Batman. Many identities were changed with this shocking news including the likes of Robin, Batgirl, and even Batman himself. And this new take on these characters provided a cornucopia of creativity. But enough back-story, right? You know the drill, I’m here to tell about some awesome comics. Our November Doom Of The Month will be Joe Kelly’s I Kill Giants! If you want to read along with us, head on over to Instocktrades.com or DCBService.com to pick up I Kill Giants for a super price! Be sure to check back at the end of November for our special review episode. 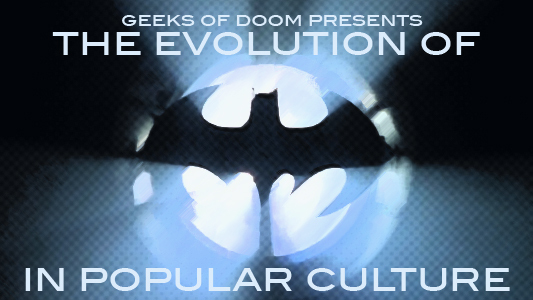 Check out Episode 29 of Comics of Doom, the official comics podcast of Geeks of Doom. Click HERE to open the podcast player in a new window. 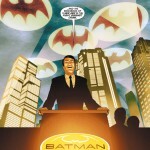 In the issue, Bruce Wayne holds a press conference where he reveals that he is the main funding officer for The Dark Knight. 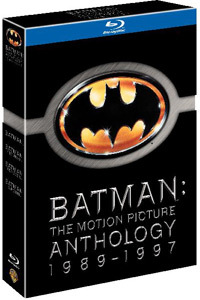 Although, some mainstream media used headlines and stories to make it appear as though Bruce Wayne declared himself as The Batman, he simply said that he had been secretly supporting and funding his technology, as well as creating a new division of Wayne enterprises called Batman, Incorporated, which just so happens to be the title for the upcoming Grant Morrison Batman comic. Our September Doom Of The Month will be Grant Morrison and Frank Quietly’s All Star Superman! 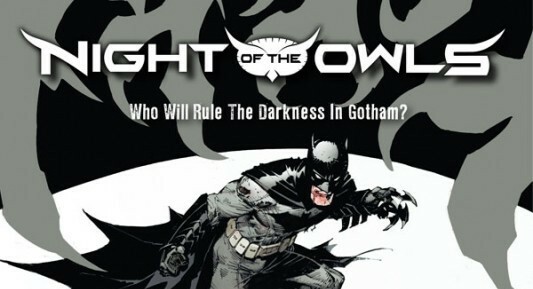 If you want to read along with us, head on over to Instocktrades.com or DCBService.com to pick up volumes 1 and 2 for some super prices! Be sure to check back at the end of September for our special episode. 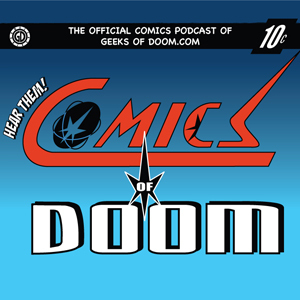 Check out Episode 17 of Comics of Doom, the official comics podcast of Geeks of Doom. Click HERE to open the podcast player in a new window. Podcast player is here below.